Take the look and some mechanics of Monaco. Mix them with the doors from Hotline Miami. Shake with some squares and you have Light. 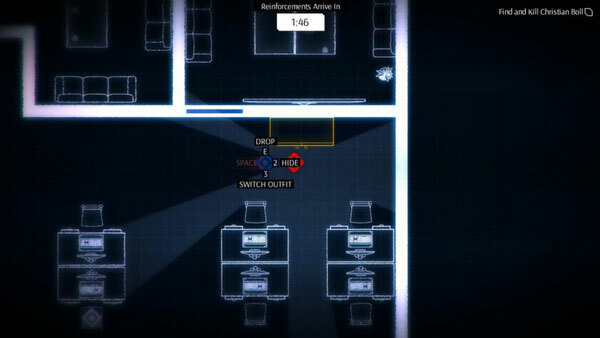 As you might expect sneaking and hacking are two vital aspects of the game. 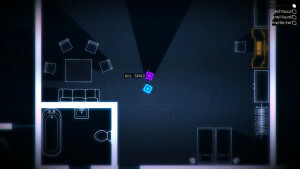 Missions include having to execute enemies and gathering important items. At times you will have to take out targets using stealth and sabotage. Hiding unconscious guards, disguising yourself and simply staying out of sight are important aspects of gameplay. What sets the game apart is the use of some NPC characters that aren’t simply out to take you down. There are some neutral ones that may know that something is wrong but not know how to stop you. Their reactions can also help you complete your mission. The game uses a minimalist graphics set that is polished but, as you might expect, very minimal. It probably won’t have much mainstream appeal but at the same time the indie market has been shown to have an appetite for games such as this. The game itself jumps around with small snippets. The player has to piece everything together from each mission. The story slowly unfolds as the player collects notes and scraps of evidence that they need to see the big picture. The game was recently released on Steam and is still at a 30% discount. This is the first big game from the new developers Just a Pixel. That reason alone should be reason enough to take a look at it for fans of the indie industry.